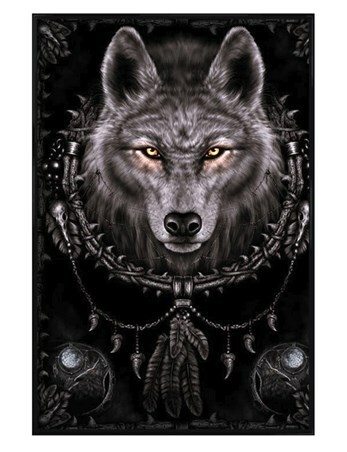 Art Maxi Poster: Keep yourself safe from the mythical creatures of the night with this stunning art poster by Spiral. 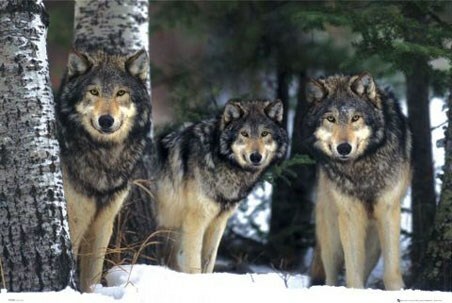 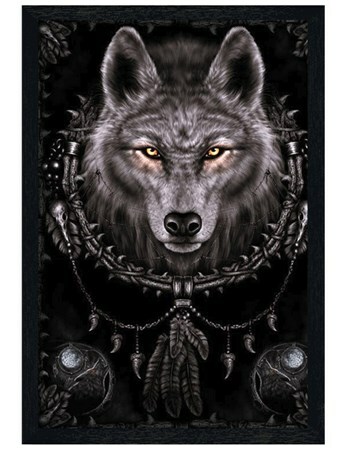 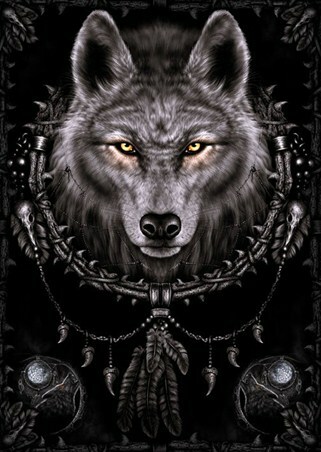 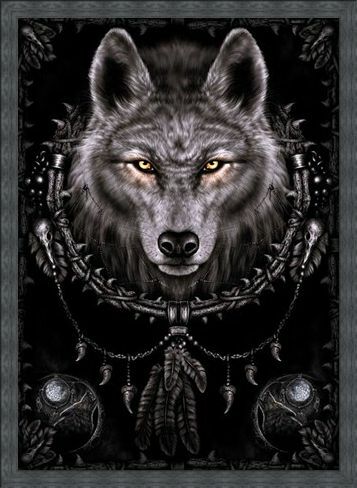 'Wolf Dream' captures the spirit of the mighty wolf as he stands head on, his eyes burning bright. Offering protection from your nightmares, an intricate dream catcher hangs around the wild creature’s neck, adorned with black feathers, wolf teeth and skulls of birds. 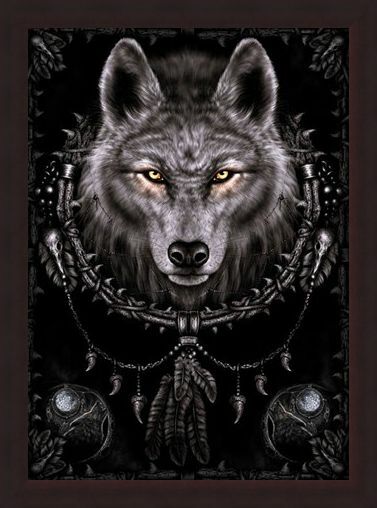 At the bottom of the poster, two hollowed moons give life to wolves as they bare their teeth and howl at the moon. 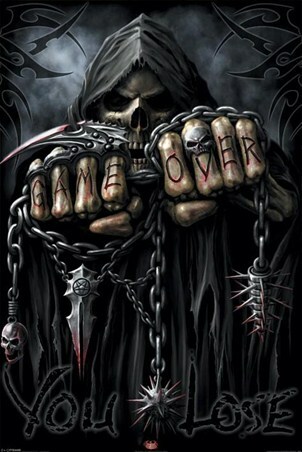 If you are a fan of fantasy art and the intricacy of dreams and the spirit world, then hang this poster on your wall and keep your dreams safe from the dark of night. High quality, framed Wolf Dreams, Spiral poster with a bespoke frame by our custom framing service.